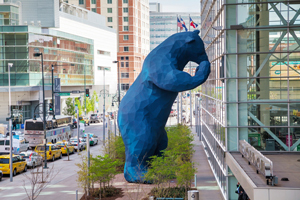 The Educause Annual Conference (Oct. 30-Nov. 2) offers something for everyone: There are program tracks focused on data-informed decision-making, IT infrastructure, teaching and learning, IT leadership and more. But if you are more of a generalist, interested in all kinds of technology use in higher education, there are some tough choices to make in terms of which sessions to attend. Here are our top picks for a conference schedule that hits key topics and trends in higher ed IT. In this panel discussion, experts from both academia and industry offer their insights into artificial intelligence and predictive analytics, including benefits vs. hype, ethical issues and what to expect down the road. Learn how Case Western Reserve University is implementing immersive, augmented reality/mixed reality educational resources in several different contexts. James Phelps of the University of Washington explores the trends and challenges impacting higher education and how institutions can remain relevant in the face of change. Resource constraints are driving many IT organizations to take a close look at efficiency and effectiveness. Hear from two institutions that have completed major IT consolidation efforts and what they learned from the experience. Encouraging Faculty Adoption of Learning Analytics: Whose Job Is It, Anyway? A team from Indiana University Bloomington shares how faculty involvement was key to the implementation of an institution-wide LMS dashboard. Teddy Benson, director of data integration for Walt Disney World, Parks and Resorts, dive into the problem of bias making its way into artificial intelligence systems — and how we can detect and remove it. Get a preview of the biggest topics in higher education IT for the coming year, with panel members on hand to discuss the issues and their potential impact. Attendee participation is encouraged, so bring your questions and ideas. Arizona State University's Lev Gonick and Georgetown University's Phil Long explore the potential of blockchain technology to give learners ownership of their educational achievements. Consultants Bryan Alexander and Michael Johnson give their take on emerging challenges to college and university sustainability, the academic business model and technology's role in the future of higher education. What Do We Owe Students When We Collect Their Data? Explore the opportunities, responsibilities and ethical issues involved in the use of student data, as well as ways to encourage students to have agency over their own data.